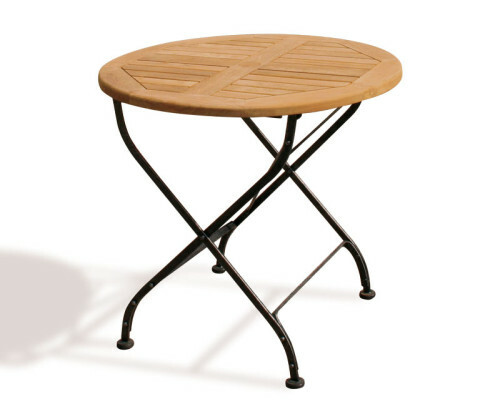 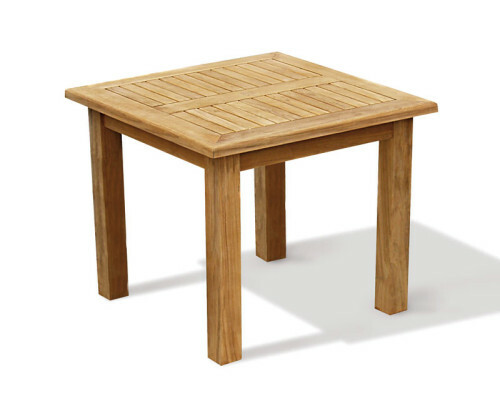 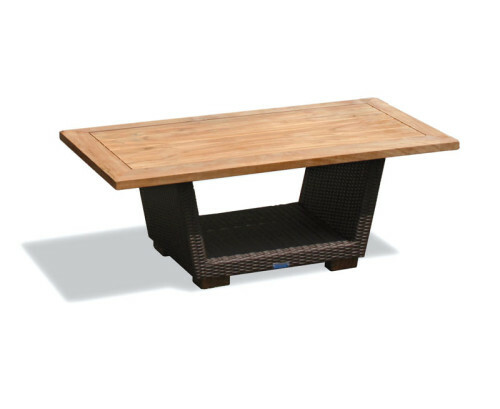 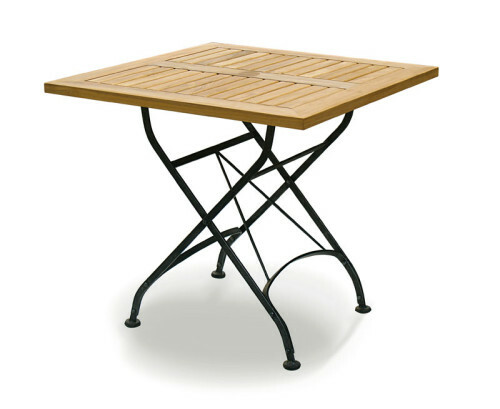 Classically stylish and durable, this Oxford teak chunky square garden 3ft table can comfortably seat up to four. 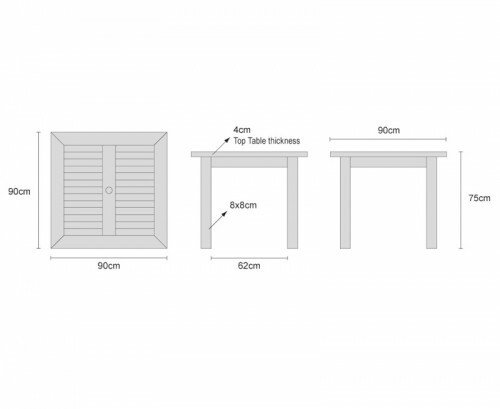 Expertly constructed in sustainable A-grade teak this chunky square garden 3ft table has been built to last and can be left outdoors all year round with minimal maintenance, giving you trouble free service for years to come. 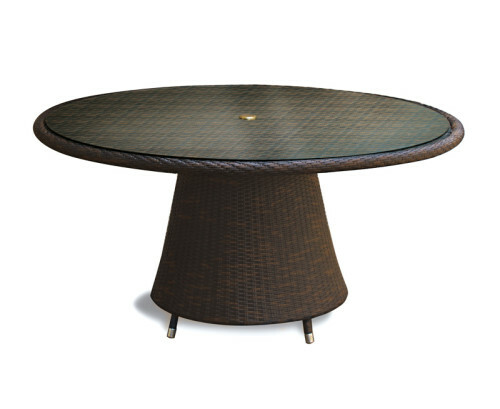 Its robust contemporary design, 4cm top frame and 8cm legs make this Oxford teak chunky square garden 3ft table a great choice for the hospitality sector as an outdoor table; additionally this teak chunky square garden table has been finely sanded by craftsmen and offers a ‘smooth to touch’ finish. This Oxford teak chunky square garden 3ft table will be delivered pre-assembled for your convenience.